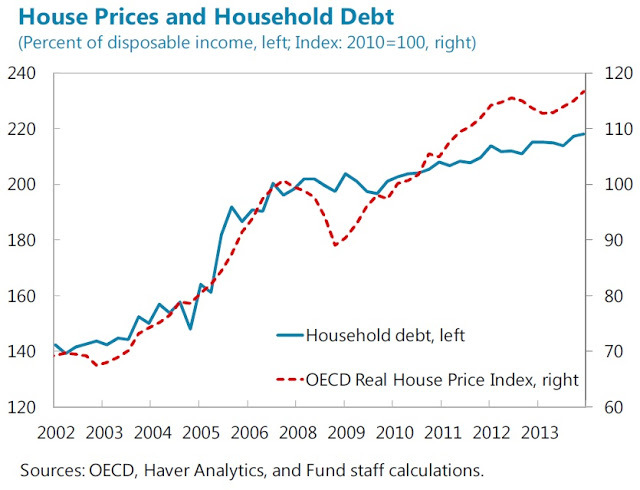 The Unassuming Economist | Rising House Prices and Household Debt: A Twin Boom in Norway? 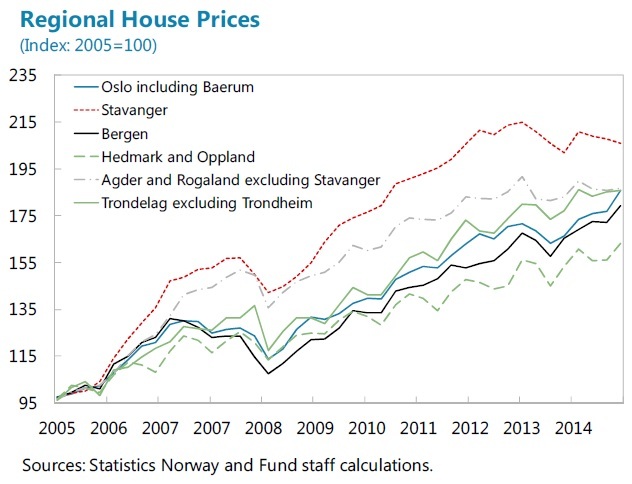 “The Norwegian housing market was only moderately affected by the global financial crisis, and the rising trend of house prices resumed shortly after the crisis. 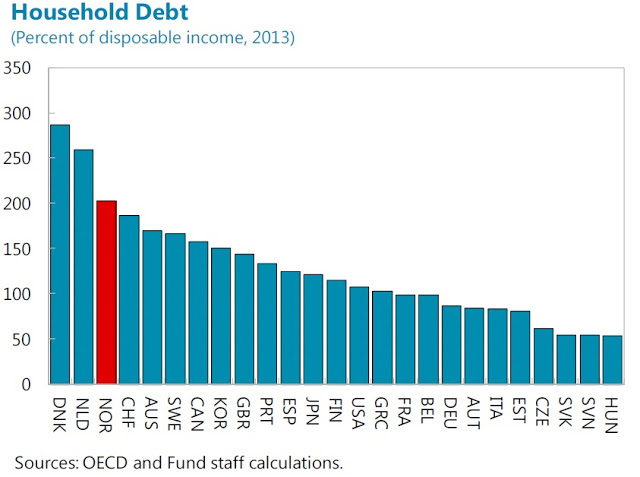 In the meantime, household debt reached more than 200 percent of disposable income, and it is expected to grow further”, a new IMF paper examines the characteristics of household debt and the factors driving the housing boom and debt accumulation. The paper also examines the potential macroeconomic impact of a possible house price correction. Read the report here.